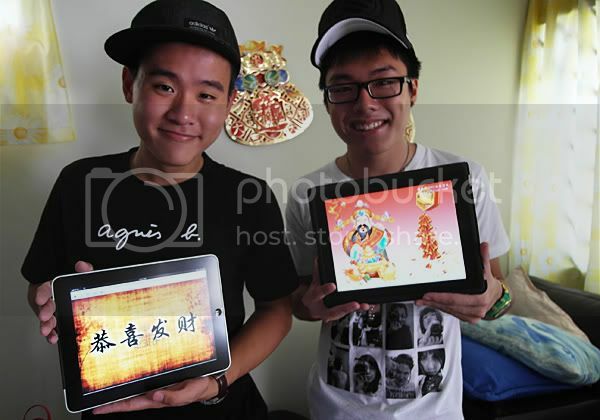 The guy who influenced me to get the iPad! 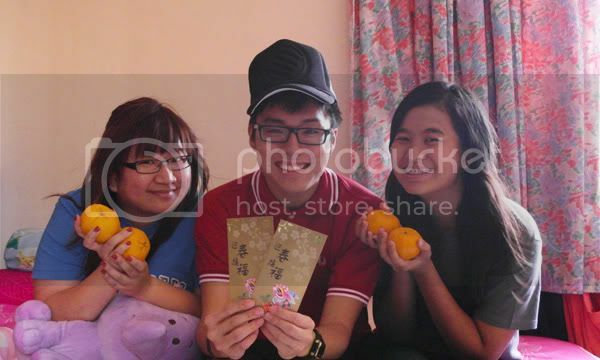 Impromptu googled for CNY image to take this photo! 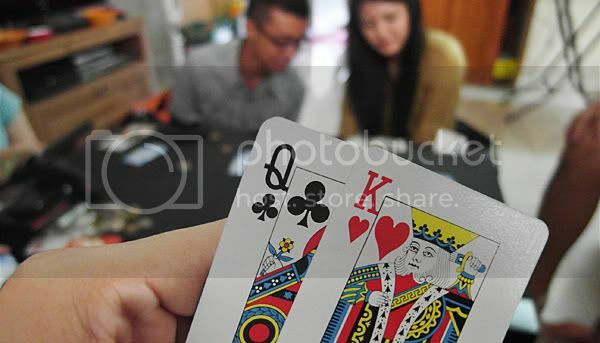 Had a little ban luck session at Hui xin's house, it's also the first time that i got Ban Ban this year! (2 Aces!!! x3 payout leh!!!) But i think i lost some $! Actually i don't even know if i win or lose $ during this CNY season because i keep forgetting to count my starting capital! I just kept playing and playing! 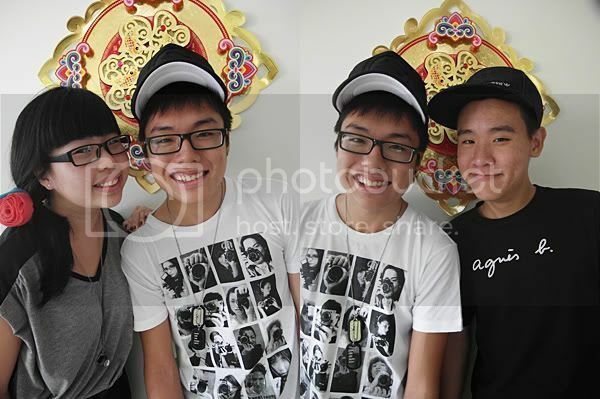 After leaving Hui xin's house, i headed straight to Joyce's house to bai nian at Khatib! BAN LUCK AGAIN!!!! I think i lost $$ also, Boo. 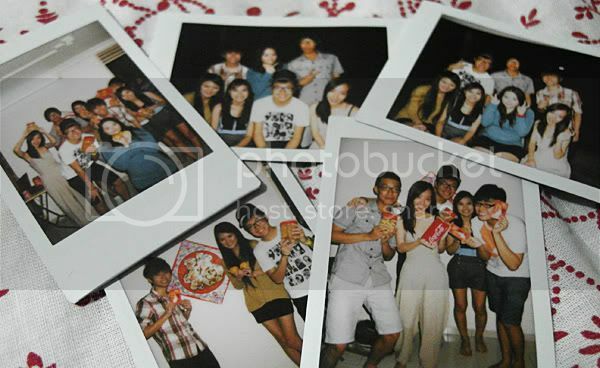 Group photo and instaxs at her house end our gambling session! 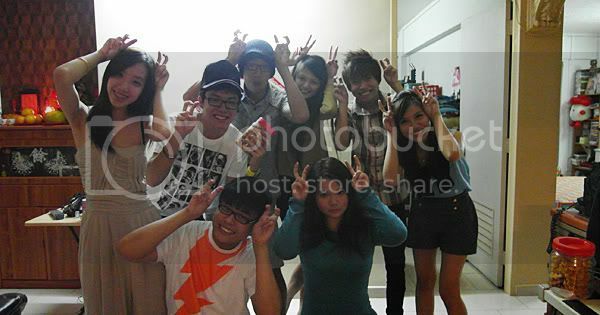 Doing Yz trademark 兔子 pose! Wanted to go bowling at the nearby Yishun Safra but the waiting list was super duper ultra long! Had to wait like an hour before it's our turn. 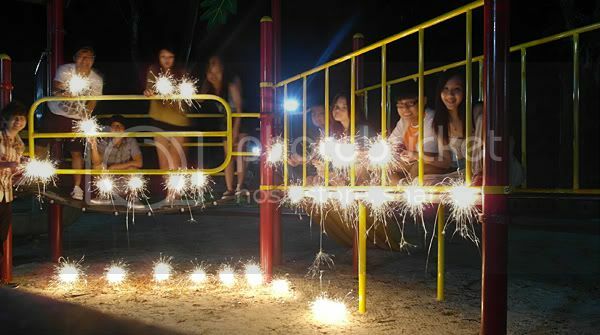 Eventually we gave up waiting, so we decided to go to the nearby coffee shop for late dinner and play sparkles at the park after that! 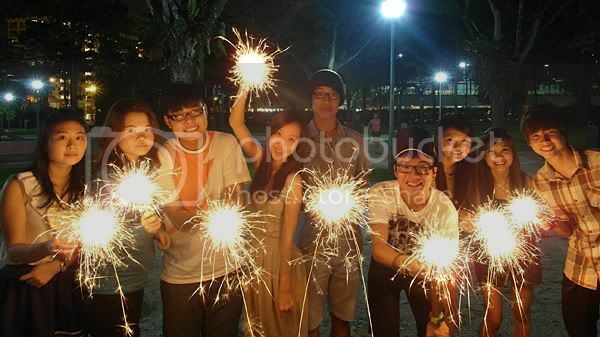 Weeeeee~ Like a fun! Only 2 great shots out of the many shots taken! 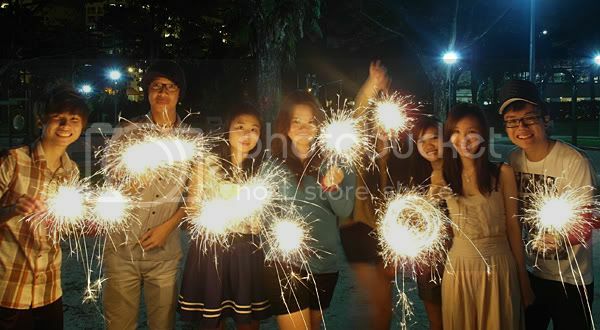 Love the firework mode on my Samsung EX1 but it's really really not easy to capture this kind of shot! Need to ensure everyone NOT to move after the photo is taken. Apparently there's definitely one or two who will move and turn out blur. Oh wells. 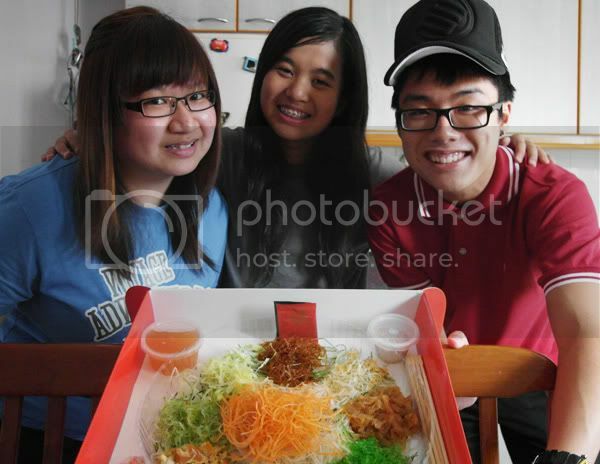 Another group photo, with the Yusheng this time! 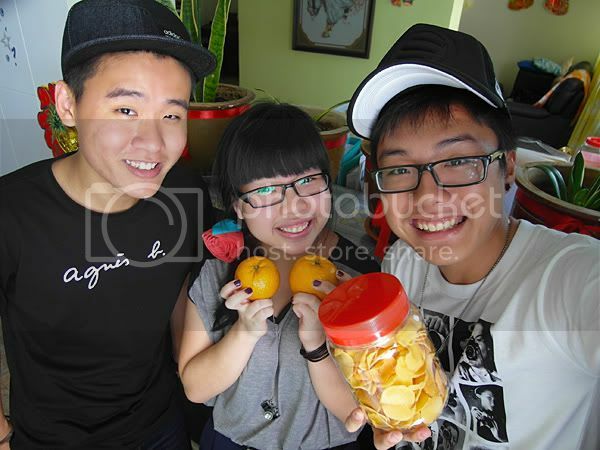 HUAT AHHHHH! 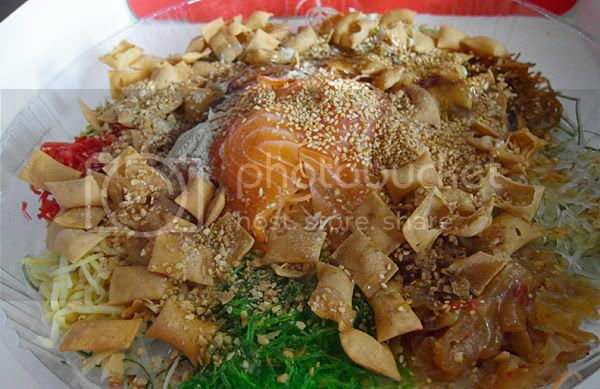 Preparing the Yusheng, putting the salmon slice on top of it! Looks very appetizing! After putting in all the condiments and such! 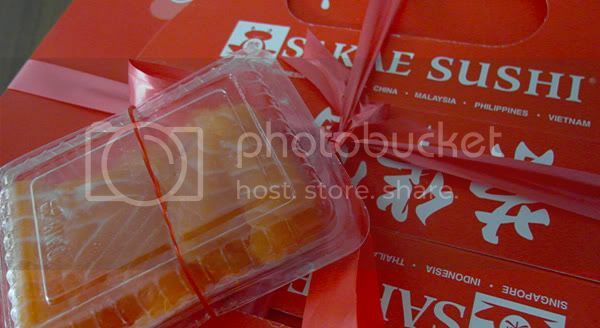 All ready to be lou hei-ed!!! 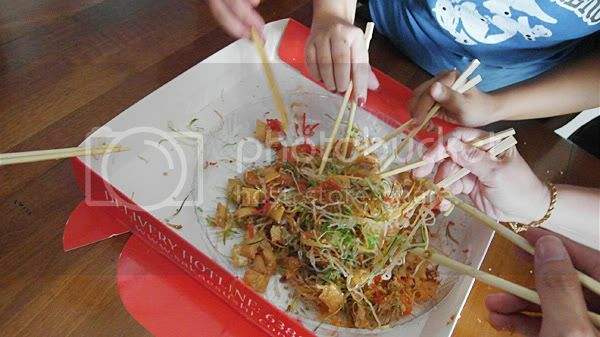 Gather everyone in the house in the kitchen for lou hei!!! I like the feeling, very happy!!! 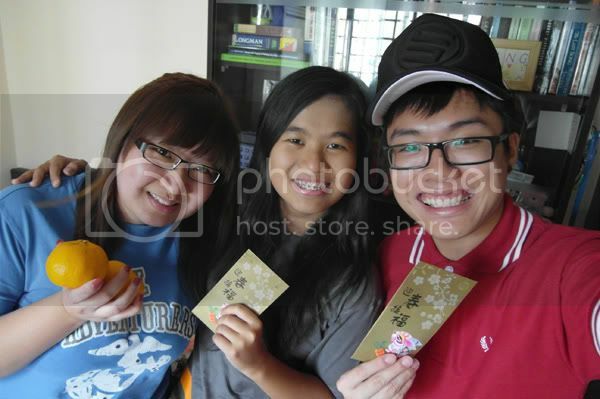 After BFF's house, i headed straight to NEX to meet my cousins for movie - Black Swan! Alright, that's all for my CNY posts for year of the rabbit! Managed to squeeze everything into 3 post! Ok lah, it's not that difficult. 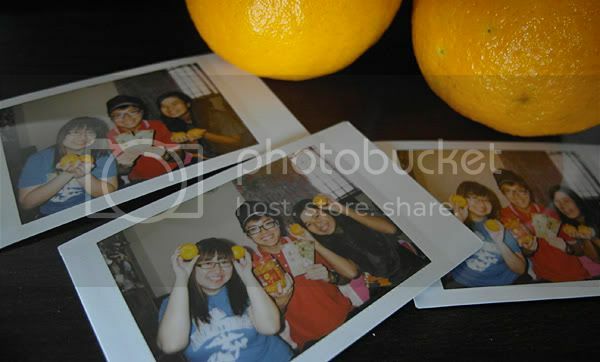 It's like piak photo, type one line, piak another one, type another line.